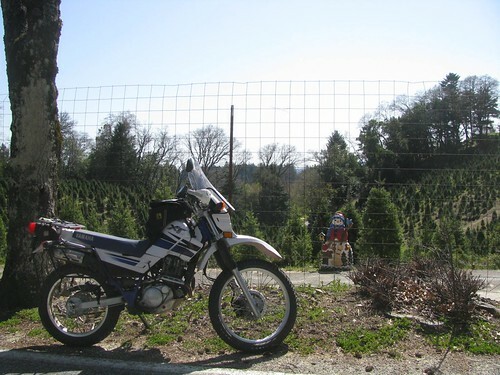 Thanks to a couple of weeks off of work, I’m finding myself with a few free days in which to play around on the XT. 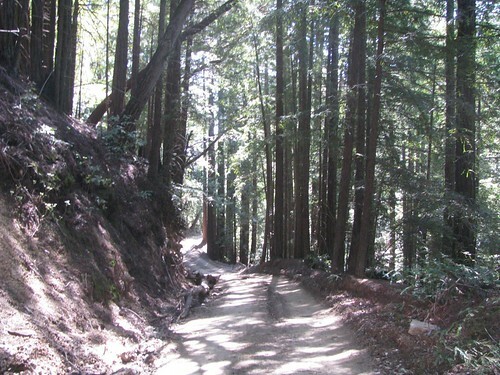 On this particular day, I decided to head south into the Santa Cruz Mountains. 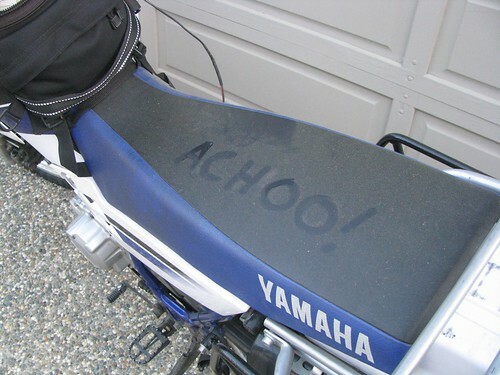 Better bring some Kleenex — the spring pollen is already out with a vengence! My first destination was Lexington Reservoir. Alma Bridge Road was nearly empty except for a couple of bicyclists. Even the dam workers were nowhere to be found. It was a nice smooth ride around the reservoir. 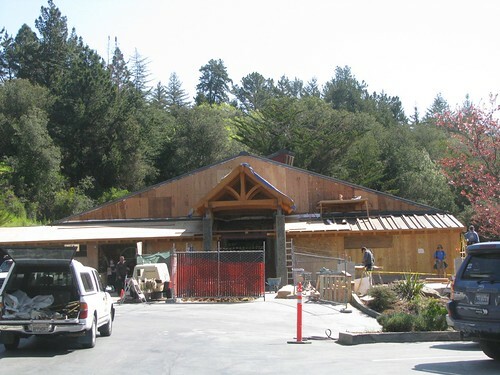 It looks like there’s some big construction going on at the Summit Store! The store was still open for business, but the parking lot was full of trucks and dirt. I took Mt Bache over to Highland Way. Highland has some nice new pavement on it now that they’re almost done with the construction from the most recent landslides. Yum! At the intersection with Ormbsy Trail/Buzzard Lagoon, I decided to finally take the latter. 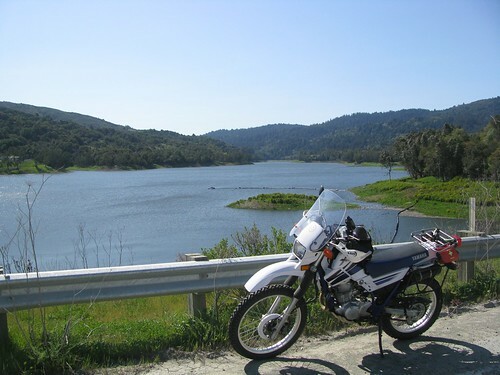 I’ve been riding the XT in the Bay Area for 4 years and I’d never been on Buzzard Lagoon…pffft, and I call myself a dualsporter. 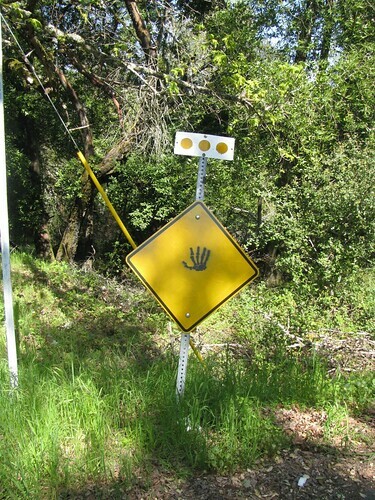 The sign at the road says access is restricted until mid-April, but it was open all the way through on March 31.
continues down Buzzard Lagoon and heading right took me to a road that my GPS called Hinckley Creek Road but that Google Maps calls Aptos Creek Road. So there ya go. 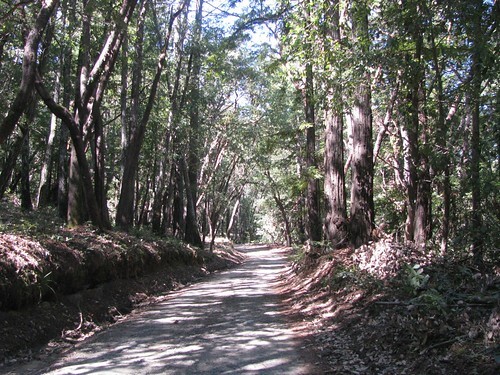 This mystery road twists and winds through the Forest of Nisene Marks State Park. 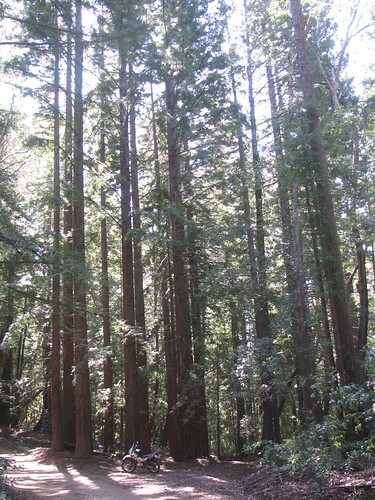 The park was originally built on land that was clearcut between 1883-1923, so it’s neat to see so much forest regrown. It wasn’t a difficult road but it was definitely the most technical of the random dirt roads I’ve stumbled across in the Bay Area. I had fun with deep washouts, large chunks of slate, some sand, and of course twisty elevation changes. Unfortunately, the road ended at a gate which looked impossible to get around. But that’s OK; that just means backtracking on the same fun road. 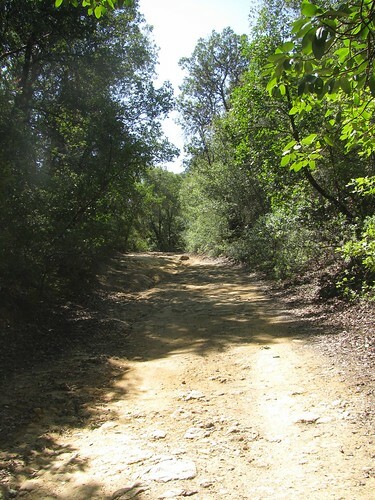 I retraced my steps back to the Buzzard Lagoon intersection, then took the latter down towards Corralitos. 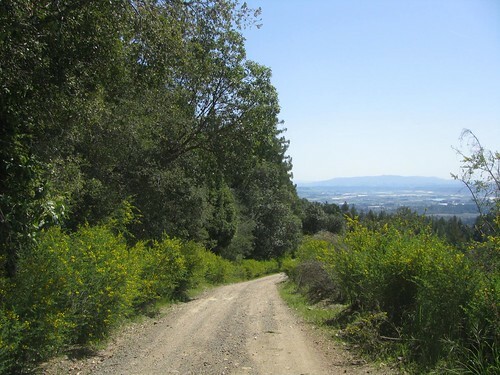 Buzzard Lagoon is a fun, easy dirt road that has beautiful scenery both within the forest and once it bursts out on the mountain ridge, overlooking Monterey Bay. 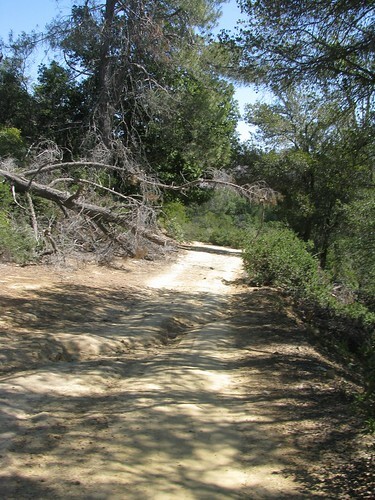 Buzzard Lagoon winds up on Rider Road, which almost immediately intersects with Eureka Canyon. 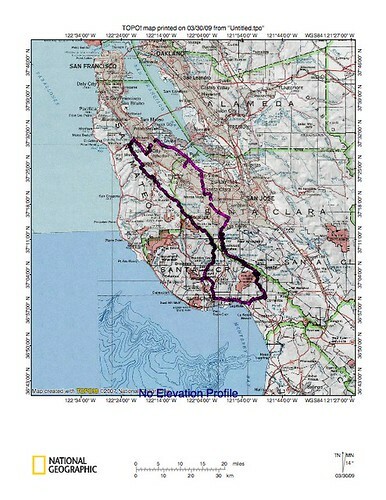 I headed south down into Soquel to top off my tank and have a Clif bar, when I received some bad new via email. 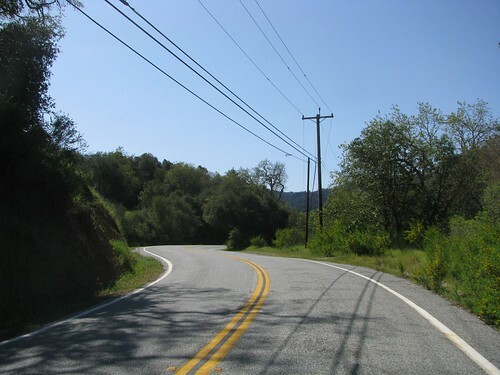 I wasn’t much in the mood to be a tourist and take photos after that, so I pointed north along East Zayante Road until Hwy 35. 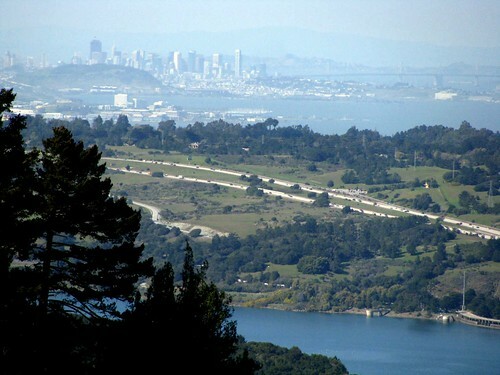 I took 35, also known as Skyline Blvd, all the way north to Hwy 92, then cut east to go home.